As of June, 2014, the courts had only accepted 43 criminal pollution cases, most of which arose in the last 3 months of last year, with two new ones this year, and no cases from 2011-until the middle of 2012. There have been only 2 environmental administrative cases (appeals from administrative review decisions by the environmental protection authorities) so far in 2014. There have been a tiny number of civil cases. The Tianjin courts have not accepted any public interest environmental civil suits. Obtaining evidence sufficient to document the causal link between the acts of the polluter and the pollution. Because much of the evidence in criminal cases comes from the enforcement arm of the environmental protection departments, but their evidentiary requirements are different from those demanded in criminal proceedings, the evidence they provide often cannot be used in court, because it has not been handled properly. The environmental protection departments are often unable to supply evidence of causation as well as harm caused by pollution. The environmental protection departments fail to provide historical data about pollution over time. The study found that the judges assigned to the environmental panels lacked sufficient training. More training on environmental law for judges. Establish environmental courts only when conditions are suitable. Involve more environmental specialists as people’s assessors to fill the technical expertise gaps. Establish better liaison channels with other authorities, including environmental protection agencies and the procuratorate. 1) if the Tianjin court has identified a prevalent problem, that local environmental protection bureaus need further training on how to work with the prosecutors and the courts to prepare evidence that will hold up in court, this is an area in which training can help. If expertise lies within the Ministry of Environmental Protection, the Supreme People’s Procuratorate and Supreme People’s Court should create a training session for local environmental protection bureau officials that can be duplicated in each province. If foreign expertise is needed, perhaps the US Environmental Protection Agency or other foreign governments, international organizations, or environmental NGOs can add this to their exchange agenda. 2) Rather than see ordinary citizens as a problem, local courts can work with local Bureau of Civil Affairs to train local environmental NGOs on the type of evidence needed to document environmental pollution cases. Some of these local NGOs include retired engineers and others with technical expertise. 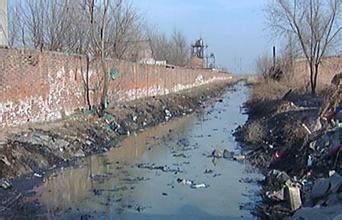 This entry was posted in environment and tagged environmental law China, Tianjin pollution.